Apr 15 Rasit O. Topaloglu, ACM Code of Ethics and Implications for Artificial Intelligence, 13 attendees. Feb 12 Canceled on acccount of bad weather. May 21 Luther Woodrum, Lossless Compression for Structured Data, 18 attendees. Nov 21 Luther Woodrum, Database Operations on Compressed Data, 17 attendees. Sep 19 Christopher Garrett, Overview of the Swift Programming Language, 13 attendees. Sep 21 Christopher Garrett, The Lifestyle, Technology, and Business of Modern Independent Game Development, 10 attendees. May 11 Dr. David M. Clark, The Demise and Revitalization of Geometry in our Schools, 13 attendees. Apr 20 Dr. Nitya Narasimhan, DigitalHV: Amplifying Technology Presence in Hudson Valley, 15 attendees. Mar 16 Dr. Donald Silberger, Minimal Angular Determinations for Convex Polygons, 12 attendees. Jan 19 Dr. Ray Polivka, The World of APL, Today, 19 attendees. Nov 17 Sean Swehla, Fostering the Maker Culture, 33 attendees. May 19 Dr. David M. Clark, Quantum Theoretic Reality: the EPR Experiment, 27 attendees. Apr 21 Jane Bartik, Women: The First Programmers, 19 attendees. Mar 31 Patrick Ladd, Typography: From Brush Stroke to Pixels, 18 attendees. Nov 18 Harry Elder, Advanced PC Strategies: Protecting Your PC and Data, and Recovering from Disaster, 28 attendees. Oct 21 Richard Martino, The Technology of Solar Arrays, 16 attendees. Sep 16 Sushil Bhatia, Infobrella: A User Customizable Information Manager, 14 attendees. May 20 Dr. David M. Clark, Designing Switching Circuits via Evolutionary Computation, 28 attendees. Apr 15 Harry Elder, Recovering Your PC, 24 attendees. Mar 25 Luther Woodrum, Writing Zero Defect Programs, 22 attendees. Jan 21 Robert L. Morrison, Magic Squares, 20 attendees. Nov 19 Art Baron, Strategic Alliances in the Technology Sector, 14 attendees. 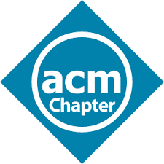 Oct 22 Joe Kirtland, The Mathematics of Cryptography: From Caesar to RSA, 24 attendees. Sep 17 Walter Recher, How to Develop and Manage a Successful Technology Startup, 18 attendees. May 21 Ed Nisley, DIY 3D Printing: Hardware and Software, 35 attendees. Apr 23 Sean Dague, Distributing the Future: the hows, whys, and benefits of being a tech volunteer, 21 attendees. Mar 19 Dr. Srini Chari, Driving Growth in Technology Businesses, 17 attendees. Jan 23 Ric Dragon, The Convergence and Divergence of Marketing and Engineering, 13 attendees. Nov 21 Dr. Owen Hill, Can you predict future economic trends?, 18 attendees. Oct 17 Tom Ruane, Everything you know is wrong: How computers are changing the history and analysis of baseball, 35 attendees. Sep 19 Dr. Dilma Da Silva, Lessons Learned from Building the K42 Operating System, 27 attendees. May 16 Thomas Murphy, Blind-sided and Hacked! Not Once, but Twice!, 20 attendees. May 2 Jerry Greenberg, The Coming Revolution in Software Distribution, 15 attendees. Mar 21 Sam Patton, The Math behind Mathematical Magic, 20 attendees. Jan 17 Sean Dague, Solar System in your Pocket — Developing Android Applications, 18 attendees. Nov 15 Robert Cotton, A Demonstrably Superior Voting Method, 17 attendees. Oct 18 Sal Vitti, Implementation of Electronic Signatures on the Web, 13 attendees. Sep 20 Donald Costello, Cryptography: From Enigma to Elliptical Curve Cryptography, 35 attendees. Sep 15 Meeting announcement is missing. Jan 15 Gordon Sager, Cyclic Redundancy Checking (CRC). Where is it Used? Why? How does it Work?